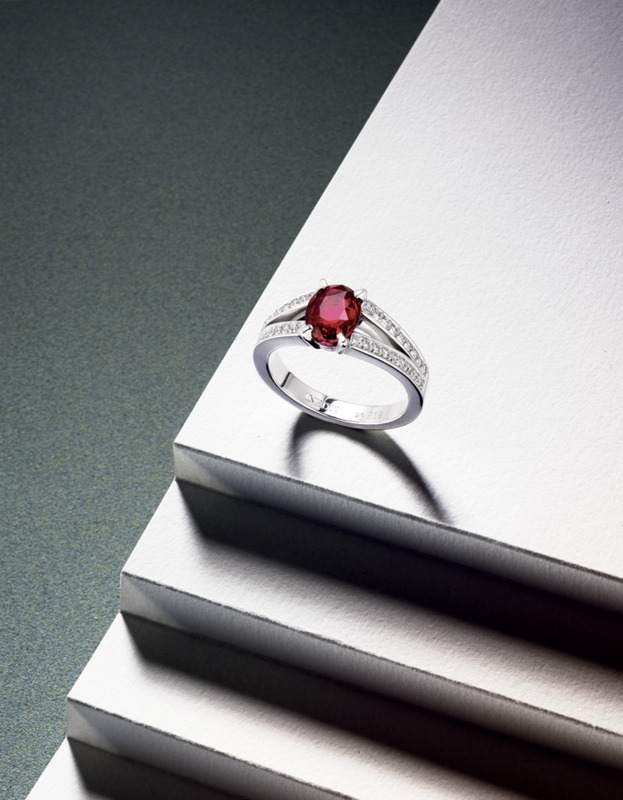 Trianon Ring in 18k white gold, set with two diamonds, emerald cut, for a total weight of 0,50 carats and with an exceptional Padparadja Sapphire, of 2,51 carats, shiny finish. 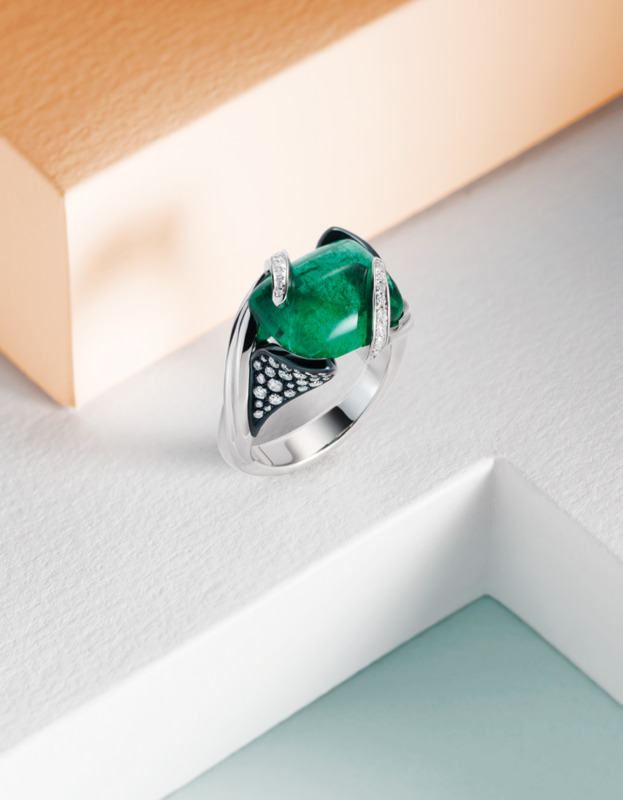 Art Déco Ring in 18k white gold, set with two diamonds, tapers cut, for a total weight of 0,27 carat and with an Emerald of 1,06 carats, shiny finish. Tapers Ring in 18k white gold, set with two diamonds, tapers cut, for a total weight of 0,52 carats and with a central diamond, emerald cut, of 2 carats, shiny finish. 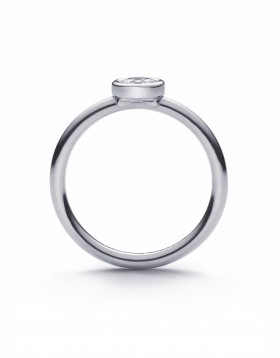 Saint-Germain Ring in 18k white gold, set with a diamond of 0,30 carat, shiny finish. 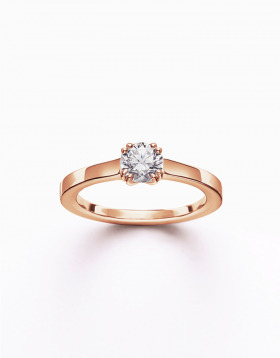 This ring can be worn alone or accompanied by the two other colors of gold.It is also possible to consider a diamond caliber more or less important. Price corresponds to a size n°53, smaller or larger sizes may have a different price. 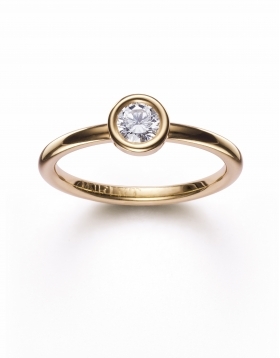 Saint-Germain Ring in 18k yellow gold, set with a diamond of 0,30 carat, shiny finish. This ring can be worn alone or accompanied by the two other colors of gold.It is also possible to consider a diamond caliber more or less important. Price corresponds to a size n°53, smaller or larger sizes may have a different price. Saint-Germain Ring in 18k pink gold, set with a diamond of 0,30 carat, shiny finish. This ring can be worn alone or accompanied by the two other colors of gold.It is also possible to consider a diamond caliber more or less important. Price corresponds to a size n°53, smaller or larger sizes may have a different price. 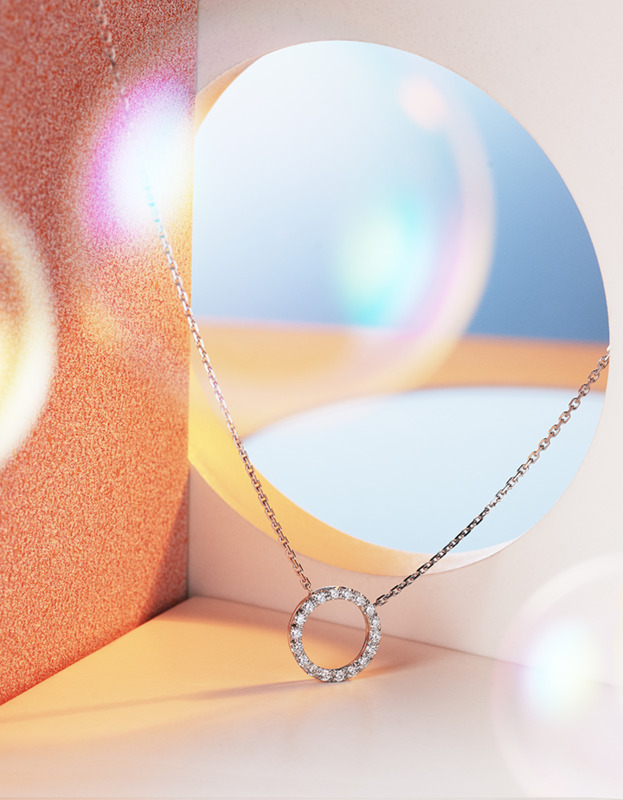 Inédit Ring in 18k white gold, set with a diamond of 0,50 carat, shiny finish. 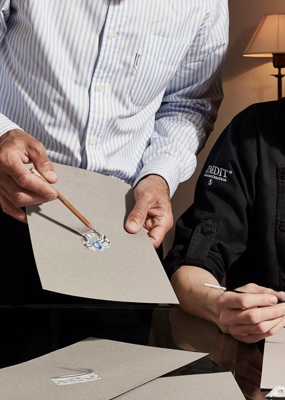 It is possible to consider a diamond caliber more or less important for this type of ring. 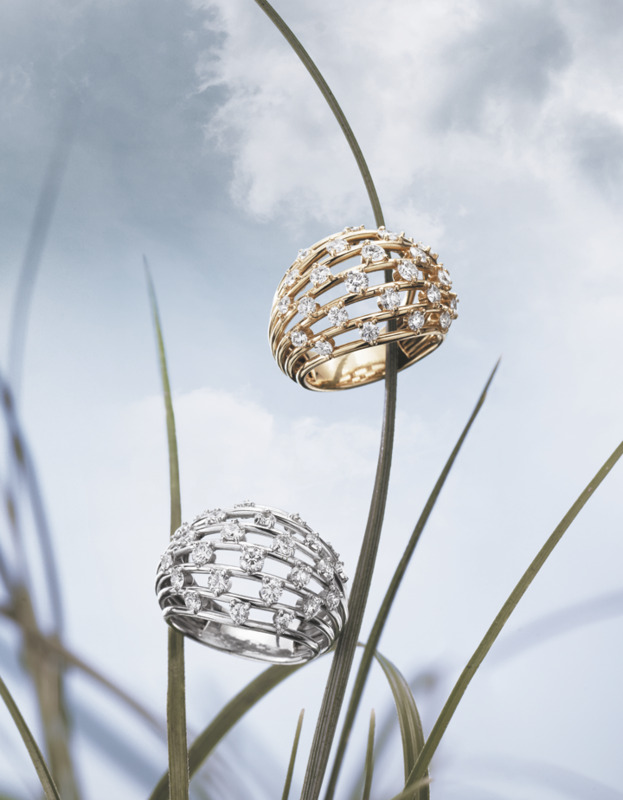 Inédit Ring in 18k yellow gold, set with a diamond of 0,50 carat, shiny finish. It is possible to consider a diamond caliber more or less important for this type of ring. 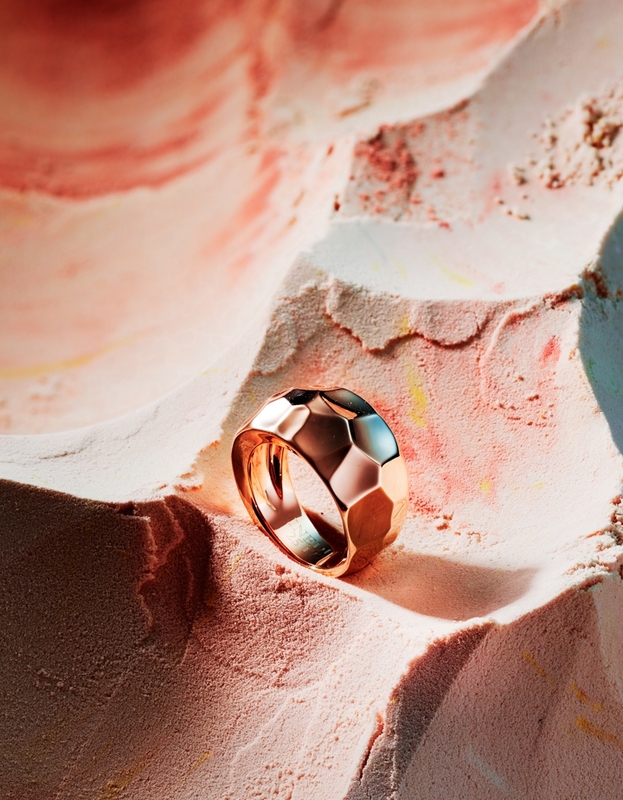 Inédit Ring in 18k pink gold, set with a diamond of 0,50 carat, shiny finish. It is possible to consider a diamond caliber more or less important for this type of ring. 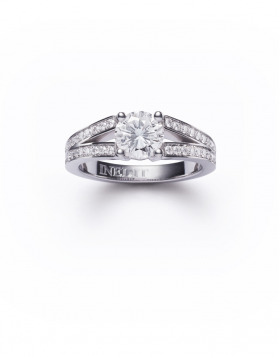 Inédit Ring in 18k white gold, set with diamonds on the ring for a total weight of 0,12 carat and with a central diamond of 0,50 carat, shiny finish. It is possible to consider a diamond caliber more or less important for this type of ring. Inédit Ring in 18k yellow gold, set with diamonds on the ring for a total weight of 0,12 carat and with a central diamond of 0,50 carat, shiny finish. 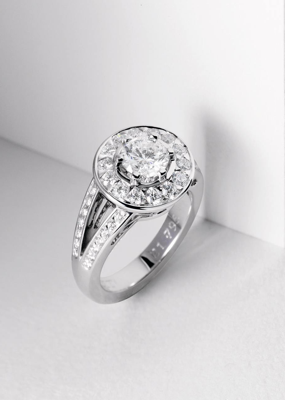 It is possible to consider a diamond caliber more or less important for this type of ring. Inédit Ring in 18k pink gold, set with diamonds on the ring for a total weight of 0,12 carat and with a central diamond of 0,50 carat, shiny finish. It is possible to consider a diamond caliber more or less important for this type of ring. 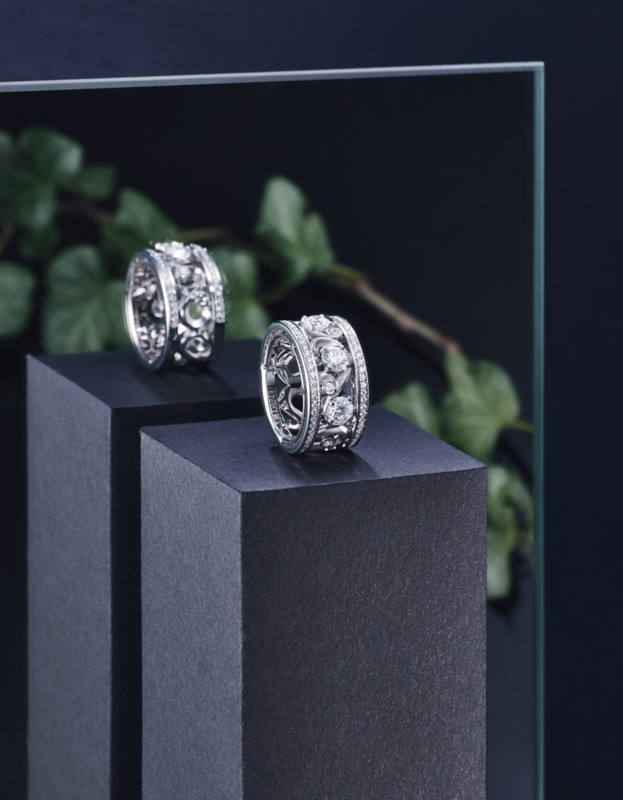 Medicis Duo Ring in 18k white gold, set with diamonds on the ring for a total weight of 0,23 carat and with a central diamond of 1,03 carat, shiny finish. It is possible to consider a diamond caliber more or less important for this type of ring. 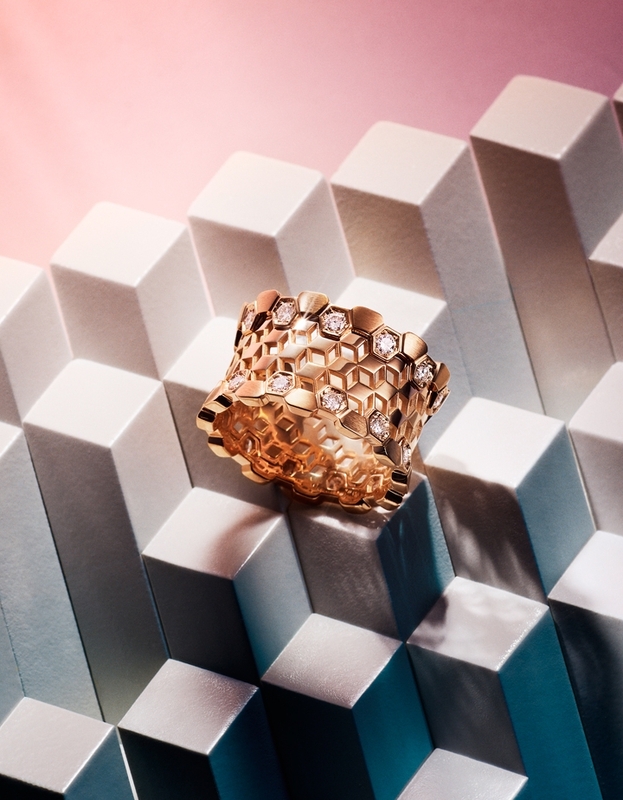 Medicis Duo Ring in 18k yellow gold, set with diamonds on the ring for a total weight of 0,23 carat and with a central diamond of 1,00 carat, shiny finish. It is possible to consider a diamond caliber more or less important for this type of ring. 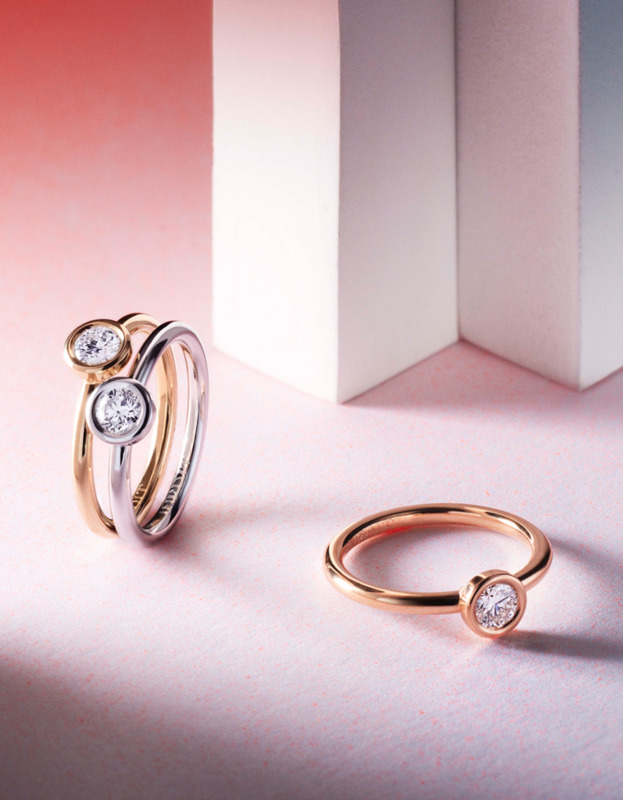 Medicis Duo Ring in 18k pink gold, set with diamonds on the ring for a total weight of 0,23 carat and with a central diamond of 1,00 carat, shiny finish. It is possible to consider a diamond caliber more or less important for this type of ring. 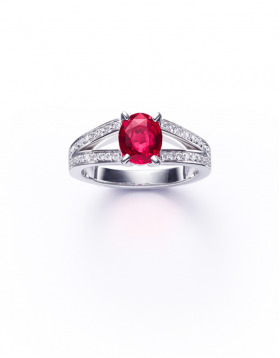 Medicis Duo Ring in 18k white gold, set with diamonds on the ring for a total weight of 0,20 carat and with a central natural ruby of 1,59 carat, shiny finish. 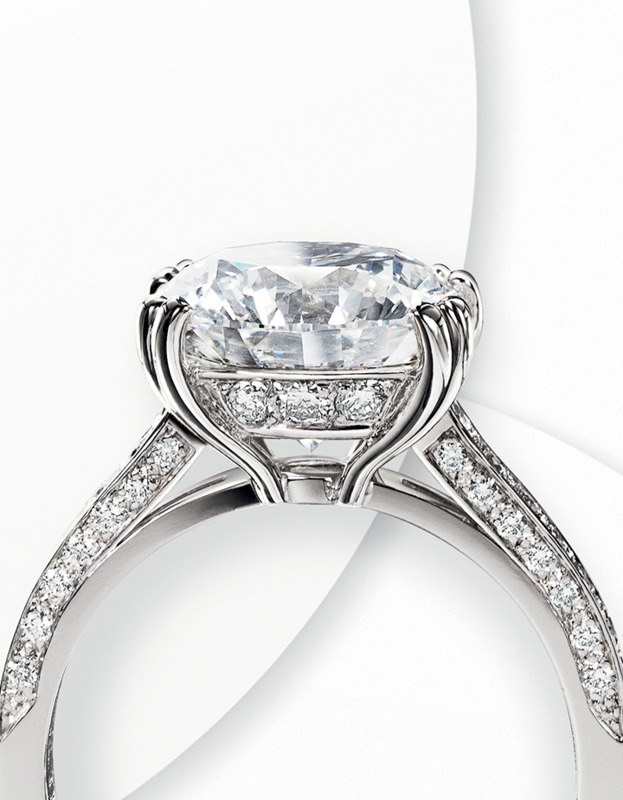 It is possible to consider a stone caliber more or less important for this type of ring. Medicis Duo Ring in 18k white gold, set with diamonds on the ring for a total weight of 0,21 carat and with a central natural sapphire of 1,57 carat, shiny finish. It is possible to consider a stone caliber more or less important for this type of ring. 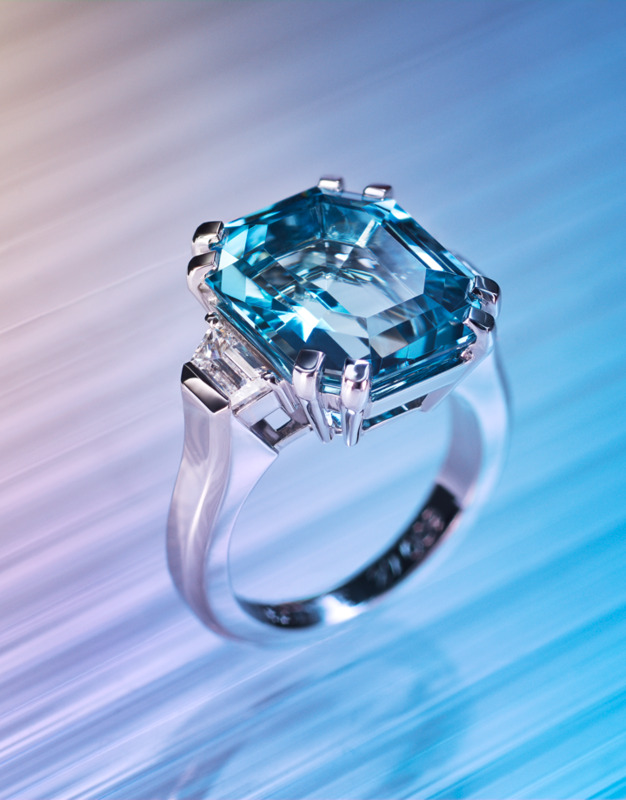 Art Déco Ring in 18k white gold, set with two diamonds, tapers cut, for a total weight of 0,59 carat and with a natural Emerald, Emerald Cut, of 1,79 carats, shiny finish.